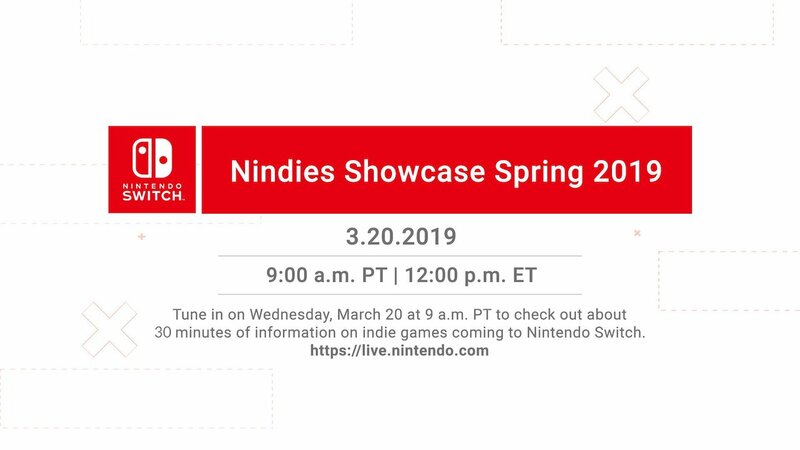 Nintendo of America has announced that a Nindies Showcase Spring 2019 video presentation will broadcast this week. The presentation will have “about 30 minutes of information on indie games” that are releasing on Nintendo Switch, which you can watch live at 9am PT (12pm ET / 4pm GMT / 5pm CET) on Wednesday 20th March. You can catch it in all of the usual places, whether that be Twitch, YouTube, or the Nintendo Direct website.